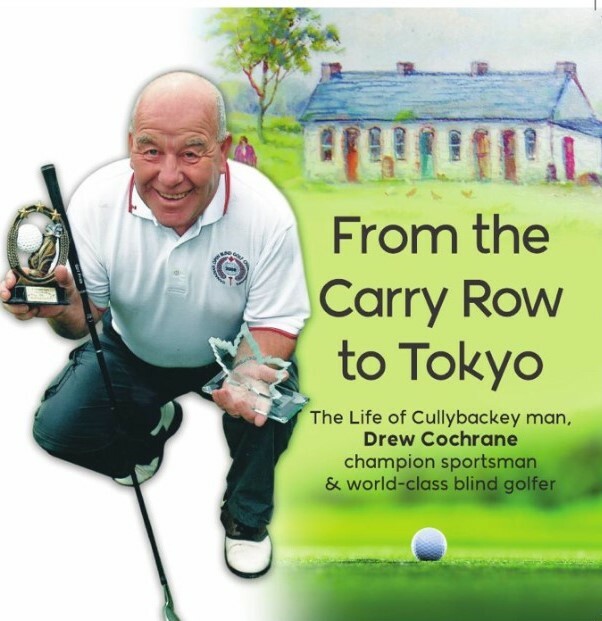 ‘From the Carry Row to Tokyo’ is Drew Cochrane’s true story of living with sight loss, when he developed an illness called Leber’s Optic Atrophy, a hereditary disease that his brother Ian also suffered from. Born in the 1940’s in a rural townland in Northern Ireland, Drew had an interesting childhood with a house of boisterous siblings there was rarely a dull moment for the family and in this book, he entertains us with witty and poignant stories of growing up to the more devastating parts, when he discovered that he was losing his sight. Although, Drew admits that he suffered from depression with the condition, he didn’t allow it to take over his life and through joining various clubs and groups, went on to compete in different sports whether it was tandem cycling around Lough Neagh, Dublin, or fundraising for local charities as well as competing in VI golf games across the world. With the friendships and the facilities and initiatives made available through RNIB NI, Drew never gave up on his love for sport and socialising and never let his disability limit his life or his ambitions. The book also features photographs and press clipping from Drew’s life, giving the reader an insight into his journey and the many accomplishments that he has achieved through the years. Written with the help of Multimedia Heritage, this story is an inspirational and motional journey that is narrated with passion and commitment. Drew’s words speak loudly from the pages and creates such vivid imagery of the world that he now lives in, whether it’s on the golf course or with his family. He reflects on the moment of his depression and speaks honestly of his dark days, but through his drive for sport, he never give up. He became a legend in the local community for his dedication and perseverance and his determination to help others. A frank and honest story about resilience, injected with humour and warmth throughout, ‘From the Carry Row to Tokyo’ is an influential story about never giving up and grabbing life by the golf balls.